Renovation, replacement and installation of all Sash windows, including Georgian, Victorian and Edwardian styles. 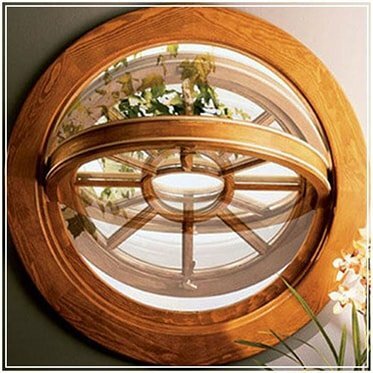 We offer traditional standards of craftsmanship using long-lasting modern materials. The classic choise, our new Casement windows and repair service can be tailored down to the smallest detail. We have a wide choise of finishes avaible to perfectly suit and enhance any type of property. 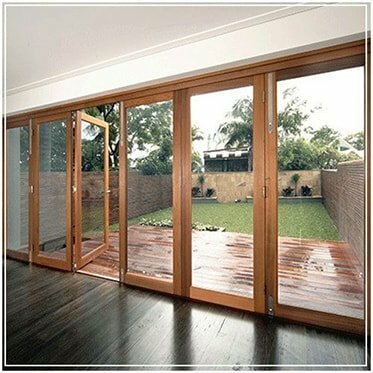 Choose from resilient, high quality timber or strengthened aluminium, our extensive range or hand-finished single and bi-fold doors combine classic styling with contemporary design, strength and durability. Our expert team can help create exactly the look, style or design you want. We'll be happy to work with you providing stylish, hard-wearing windows or doors for all your bespoke requirements. Sash windows are a popular feature of many London properties and are particularly common in period properties. At Repair a Sash, our skilled team of craftsmen are experts in the replacement, repair, installation and upgrading of timber sash windows. 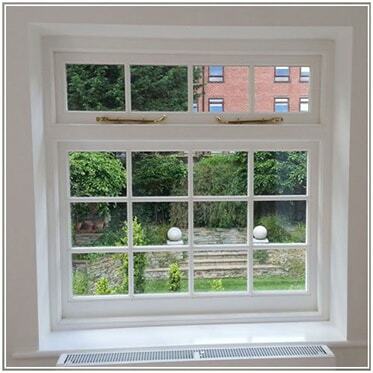 We can install new sash windows, or repair your existing windows to improve the appearance of your property. All of our sash windows are high quality and fit with the building regulations of period properties and listed buildings. In addition, our sash windows are also available in a variety of timbers to fit with the existing style of your property. Although new sash windows are highly desirable, sometimes our customers simply need sash window repair to restore their current windows. For our experienced professionals, no job is too big or small. Our sash window repair services ensure that our customers have high-quality sash windows, which fit seamlessly into their property and offer high levels of security. As well as sash window repair, we also specialise in timber windows and doors. Although it is often overlooked, the exterior of your property is essential for making a bold statement and retaining the character of your home. We provide timber windows and doors which fit in with the current style and architecture of your home to help improve its curb-side appeal. We are experts in timber sash windows and have a variety of styles available, including heritage and traditional sash windows. We only use the highest quality timber and have a variety of different woods to choose from such as Accoya, Sapele, Oak and Engineered Redwood. All of our windows are finished to a high standard, with secure locks and fastenings for customer peace of mind. All of our timber doors are carefully manufactured so they will last a lifetime. With the latest technology implemented, our doors are secure, well insulated and reliable in line with leading industry standards. We pride ourselves on using sustainably sourced timber that has been selected for its quality, grain and strength. Whether you’re looking for a solid wood front door or a stylish timber French door, you can find a durable solution at Repair a Sash. With Repair a Sash, no detail is overlooked. We provide bespoke styling to ensure that your door fits with the existing features of your property. As well as this, there are a number of different safety options and fittings to choose from. If you’ve chosen a door with glass panelling there are a range of options to choose from, including decorative glass which can provide you with extra privacy and better lighting for dark or narrow hallways. Our timber doors can completely transform your home, inside and out. Sash windows require a considerable amount of attention and regular maintenance to keep them in full working order. For this reason, many of our customers have sash windows in their property which have fallen into a state of disrepair over time. Weathering, aging and wear and tear are all causes of common problems with sash windows. Ideally, you should get in touch with an expert as soon as you notice a problem with your sash windows to reduce the damage caused. 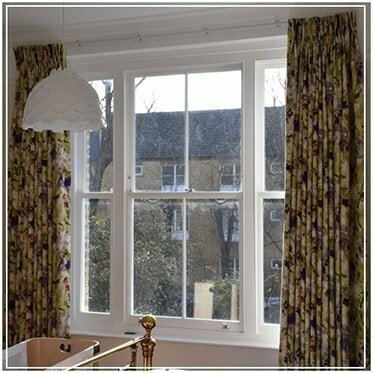 At Repair a Sash, we offer a full sash window repair service which can help restore your windows to their former glory. It’s also good to know that all of the work our craftsmen carry out, and the materials they use, for sash window repair is fully guaranteed. Our sash window repair service is ideal for resolving common problems, such as replacing broken glass, partial repair of frames or boxes and replacing rotten wood. Not only will sash window repairs improve the aesthetics of your home, it’s surprising how much difference a newly repaired sash window can make to your heating and electricity bills. We can replace your current glass with more energy efficient panes to ensure that your home is well insulated and warm throughout the winter. If you’re interested in finding out more about our sash window or timber door services, whether you are looking for installation or repair work, don’t hesitate to get in touch with a member of our expert team today. We are more than happy to provide you with a quote or a free survey. Remember, all of the work we carry out meets British Building Standards, so our customers can feel reassured that we will deliver high quality work which meets building regulations. Repair A Sash rehung and re-balanced our sash windows and now they are better then new. They were prompt, polite, tidy and hard working. I would highly recommend. I needed to have six sash windows restored and draught-proofed. Boris did a thorough survey, gave me good advice & provided a detailed quote. The work itself was carried out to the highest standard. Boris and his team were highly skilled, and also punctual, tidy and friendly. Knowledgeable, reliable, clean, efficient. Would recommend to anyone who needs windows and doors draft proofed. Workers turned up on time as promised and completed the job to a good standard. The worksite was kept tidy, creating minimal disruption to the rest of the house. We had 10 Edwardian sash windows and a balcony door that had been neglected and required some serious attention. We knew they were going to be expensive to refurbish but “Repair a Sash” gave us a fair quote and were flexible about timing. They did an excellent job in good time and the windows are now up to modern standards with no more rattles or drafts. They look beautiful too. We are very pleased with the job Boris and his boys did and are happy to recommend them. We had two casement windows fitted. Boris was efficient, polite, used excellent quality windows and did a great job, offering to return if we had any problems. We thoroughly recommend him. Boris has been reliable from my first telephone call to completion. He is very competent, works extremely hard to get things right, and will spend whatever time it takes to do the job properly and leave the place clean. His advice was sound and his quote the cheapest. The new sashes are solid, slide like a dream and the rooms are much warmer. I can’t recommend him highly enough. Copyright © 2009 - 2017 Repair A Sash Ltd. All Rights Reserved.